Orsa is an embodiment of precision – an elegant pendant light pared down to its essential elements, allowing the light to express a larger volume. A slim metal stem flares out at one end to form the heat-sink and housing for the LED, with a UV bonded moulded glass cover containing the light source. The design of the glass cover ensures that the light source remains invisible, giving it an appearance of a floating disk of light The industrial design team at Foster + Partners experimented with various materials, surfaces and optics to achieve the desired lighting effect and volume. The precision glass takes its shape from the focused output of the LED which is diffused through a specially engineered etched lens, focussing the light over a wider area. 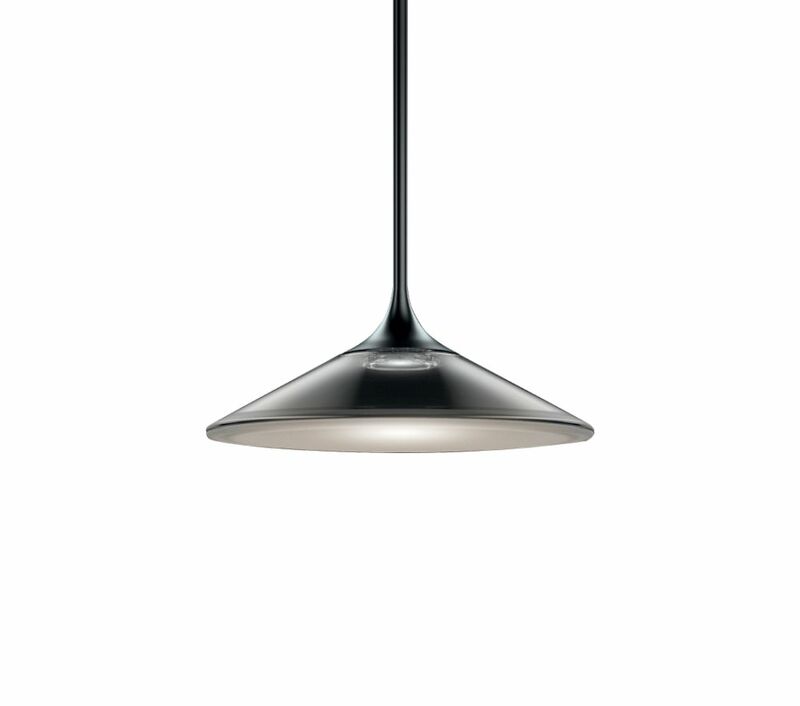 An elegant, minimalist object, Orsa is designed as a single piece or as a part of a larger ensemble.